This collection seamlessly integrates media storage solutions into a clean, modern design made of Acacia and veneer. With bold silver hardware and the perfect balance of open and closed storage, this group brings a whole new dimension to your space. Tasteful distressing should be expected and enjoyed. 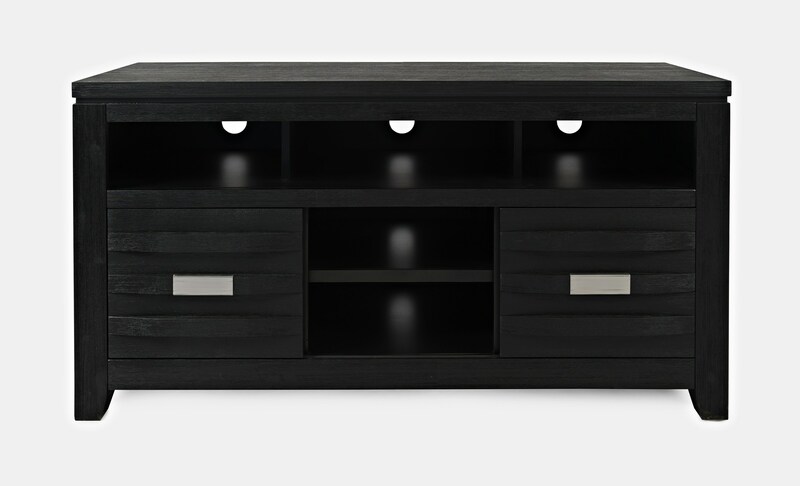 The Altamonte 50" Console by Jofran at Furniture Fair - North Carolina in the Jacksonville, Greenville, Goldsboro, New Bern, Rocky Mount, Wilmington NC area. Product availability may vary. Contact us for the most current availability on this product. Browse other items in the Altamonte collection from Furniture Fair - North Carolina in the Jacksonville, Greenville, Goldsboro, New Bern, Rocky Mount, Wilmington NC area.